Come closer. I want to tell you something. Why are you being like this, Xena? I’m bored. Turn your head that way, Lucy. I want to tell you something else. Whack me once, shame on you. Whack me twice, shame on me. OK then, I’ll lay paws on you and pray for you to recover from your recent whacking. I am the church puppy, you know. Lassie and Eddie rang me up on their way through town, asking if there was anything they could do to help support me as a Mayoral Candy Date. We met in a private library and had a great time discussing our careers. Sweet William the Scott took some time from his PAWlympics coverage to do a photo op of us all together. Thanks, Sweet Wills! After brainstorming on the campaign for at least 87 8 minutes our stomachs all started growling at us, so we called out for pizza delivery. The delivery guy had a tennis ball on him. So, after Lassie and Eddie finished chasing the ball and I finished off the last of the pizza, we had our strategy: A pizza for every anipal and a tennis ball with every delivery. 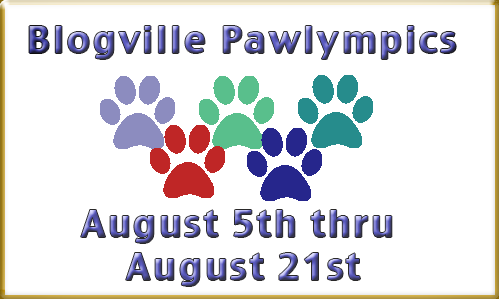 Did you know that my boyfriend and Mayoral running mate, Noodle, is hosting an event for the PAWlympics next week? It has to be one of the most fun events ever: raspberries/tongue curling. Be sure to hop over to see what Noodle’s up to and register to pawticipate! With my sprained right knee, I needed someone to do a lot of the running for me, and who better than the best boyfriend in the whole world – Noodle! He is not just a handsome hunk. He is smart and funny and is a great organizer of fun. As a team, we can’t be beat (we hope). Oh, and in case you don’t recognize the other two anipals on the platform with us, to the right is Beautimous Shoko from The Canadian Cats and on the left is Honorable Purrince Siddhartha Henry of Purrince Siddhartha Henry an Lady Mumm’s Purrfect Pad. Shoko is not just beautiful and a good sister to Kali, but is also a vital part of Team Lexi, campaigning across international and species lines. 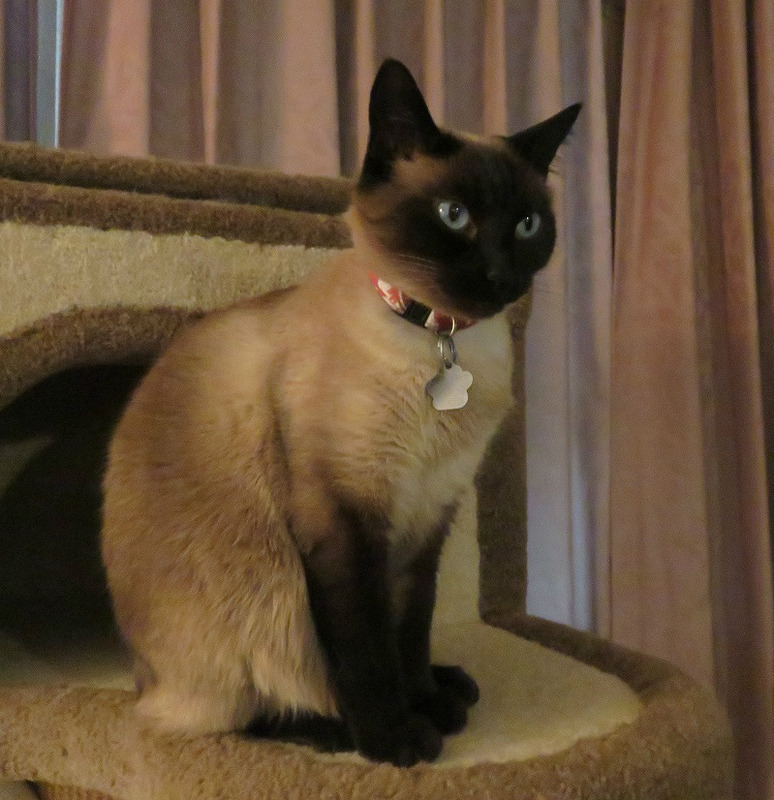 The Handsome Purrince is very impawtant to both me and Noodle, as he encouraged a timid Noodle to take a chance on asking me to be his Valentine last year. Feel free to grab any of these pawsome buttons, provided by Team Lexi members Sweet William the Scott and his Mom, Lee. 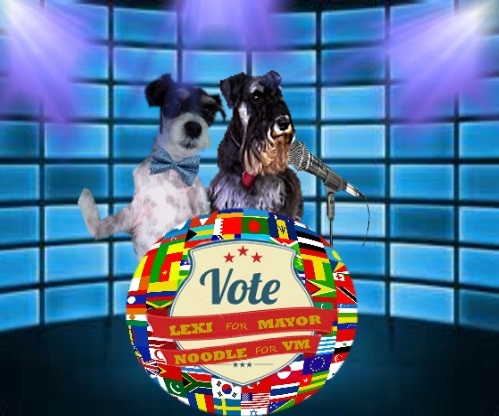 Please display them proudly on your sidebar to show your support of Lexi (me) and Noodle for Mayor and Vice-Mayor, respectively. The other two mayoral Candy Dates, Christmas and Arty, are also announcing their Running Mates today. 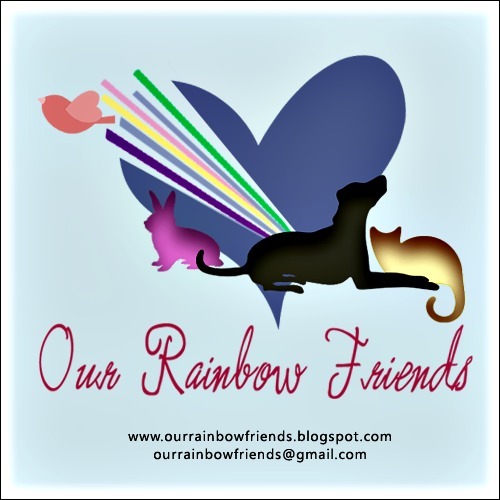 Hop on over to their blogs with me to get their news! I’m Ella. My BFF Piper left me. You may remember that Mom took me and Piper on a road trip over the Fourth of July weekend. We went Up North to Pee Yay to see my bestest friend Rhonda. Ella had to stay at our house with my Dad, who also had to stay at our house. I don’t know why, so don’t ask. 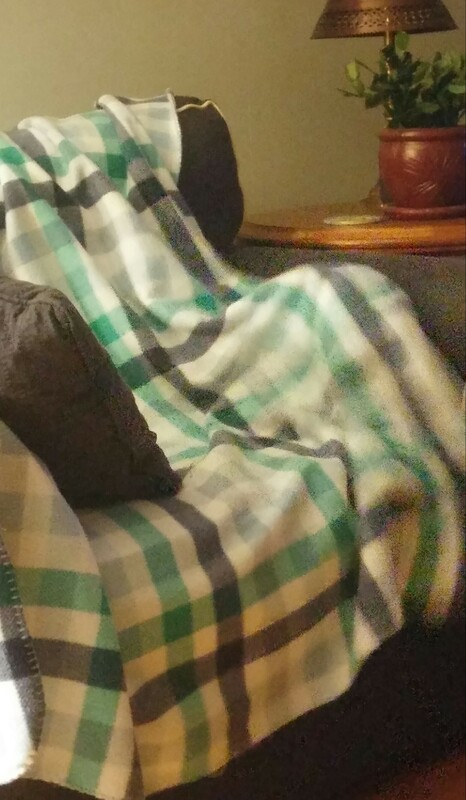 He, he, they can’t find me. While we were there, Piper invented a new game of hide and seek. 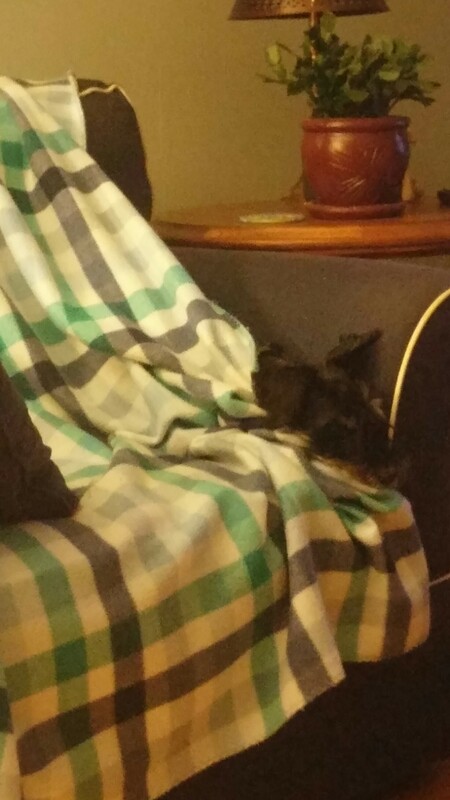 Mom watched the whole thing, but my friend Rhonda suddenly saw something moving around under the blanket, and out popped Piper’s head! Bed rest is prescribed for my knee. Also while we were Up North, I fell down the stairs going up to the bedroom. You see, I was following Mom up these wooden stairs and my left leg sort of gave out on me because of the hip dysplasia. I slid backwards down 3 steps. When I tried to stop myself with my right back leg, I twisted my knee. 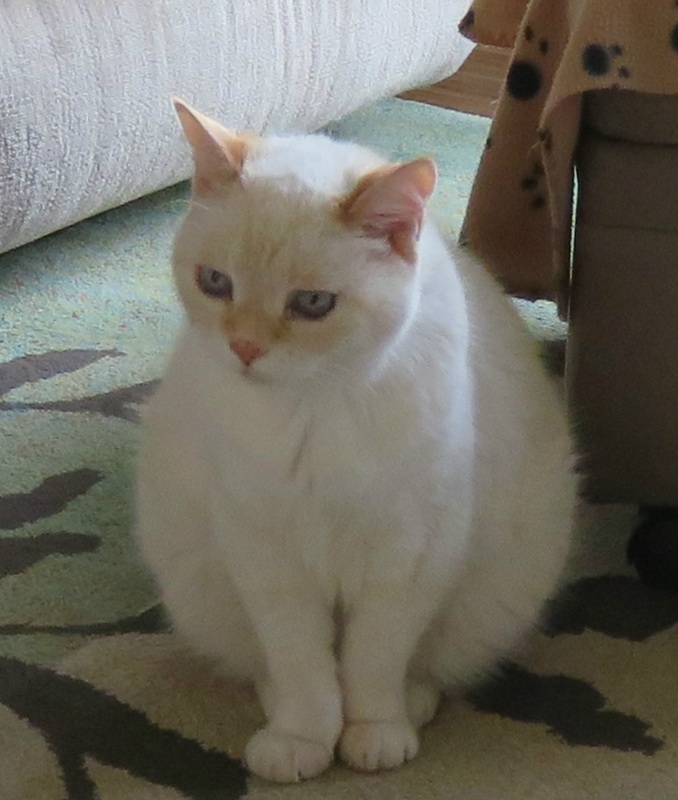 *sigh* This week Dr. Karen checked my knee and it is sprained. I am supposed to try to stay off it as much as possible, take my pain pills and ice it several times a day. 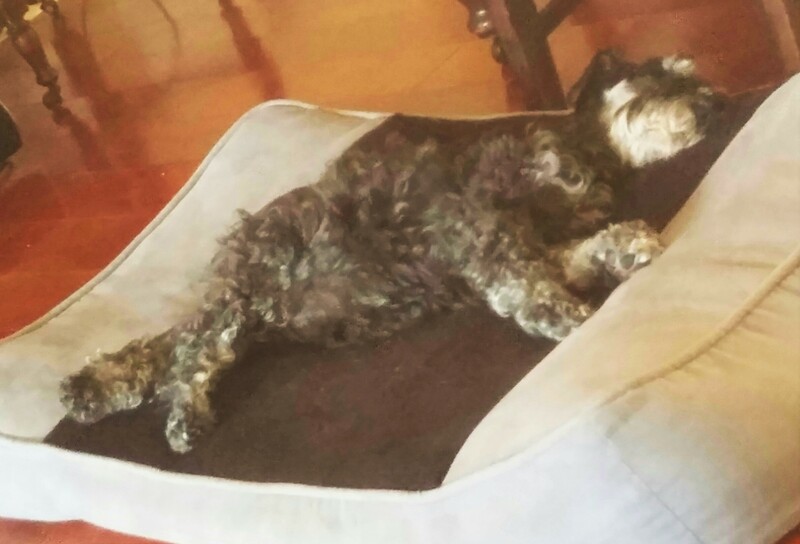 I get 3 pain pills, which makes me sleep a lot, which keeps me off my leg! Brilliant! After returning home, Piper cried and fussed and drove Dad crazy hid behind the toilet when me and Mom went to work. Mom said she would try taking him to work with us the next day. Daddy cried with joy and kissed Mommy’s feet. Dad thought that was a good idea. Piper is not a working dog like me. He doesn’t know how to behave in an office. 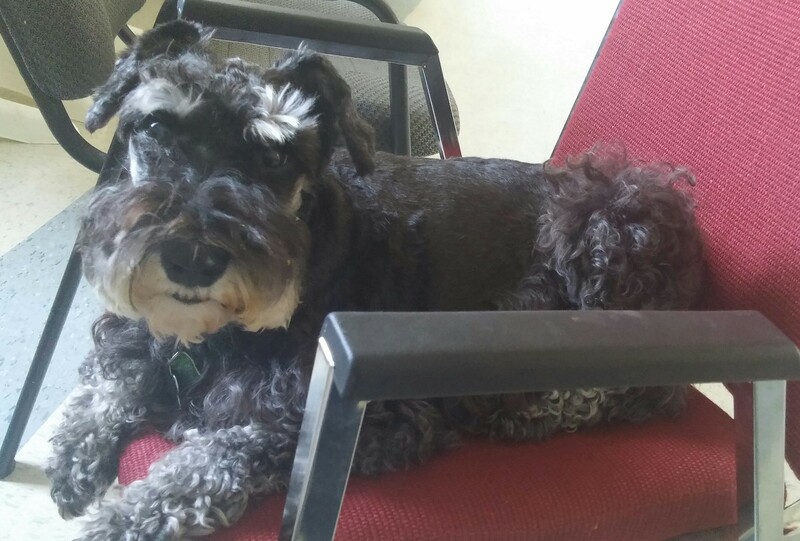 He kept running down the office hallway and barking at the nice man fixing our air conditioning. He tried to leave with some people that we didn’t know. And someone left a puddle in our boss’ office. What Mom? No, why would you think I was jealous and acted out because the pastor held Piper in her lap? I guess no one will ever know “who done it”! This is a good place to eat my lunch. Since then, Mom has been taking only me to work, which is as it should be. She has to carry me up and down the stairs to protect my knee. We go upstairs to the big hall to eat our lunch because 99 degrees is too hot to sit outside. Mommy does take me outside a couple of times a day, though, to roll in the grass and soak up some of that wonderful sun. I’m a good boy riding in the car. Piper has always hated riding in the car because it made him feel sick to his tummy. He would run and hide if he suspected a ride was imminent. Not anymore! Now he wants to go everywhere we go. 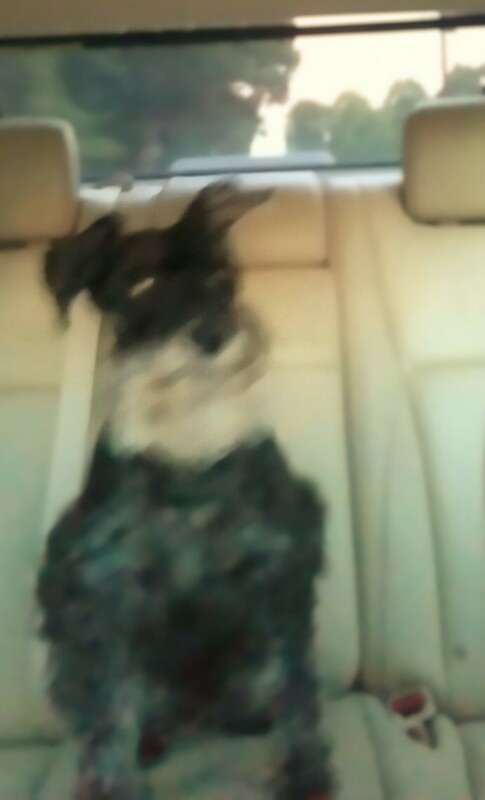 As a treat, Mom took him for a ride to Walgreen’s to get my pain medicine. Mom apologizes for the bad picture. She said it was hard to get while driving idling at a red light. You can see he is sitting up on the back seat. His normal riding position used to be as low as he could get on the floor of the back seat. Mom says we have made a breakthrough! I think that gets us all caught up. I had better go and put ice on my knee now. Oh wait! Be sure to come back for a visit on Tuesday. Us Mayoral Candy Dates have HUGE announcements to make, and I don’t want you to miss it. We will all be linking to each other’s blogs so everyone knows everything! I can’t wait! I’ve been thinking. There is so little crime in Blogille that Frank and Ernie’s prestigious law firm can easily handle the cases that come their way. As an aside, I do encourage anyone who is suffering an egregious wrong to contact them. I have watched them in action in my boyfriend Noodle’s case Noodle vs Jamison, and they get justice done. So where is this leading? Well, I guess it is just that we don’t really need a police force (sorry Sarge) or a lot of rules. You know, that one about treating other anipals like you would want to be treated works just fine. And taxes? Nope. You keep your bones and nip and all the other treats you love. They are yours to enjoy and share with your friends, if you want. I know first-hand that when one of us has a need, their friends – both old and new – jump in to help. 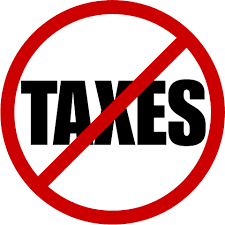 Yep, no need for taxes; just friendship and kindness and working together to help make Blogville a great place to be. I also want to send a special thanks to all of you who prayed for me, sent healing thoughts, and/or helped financially. It is all appreciated so much. Mom asks that you continue lifting me up in your thoughts. 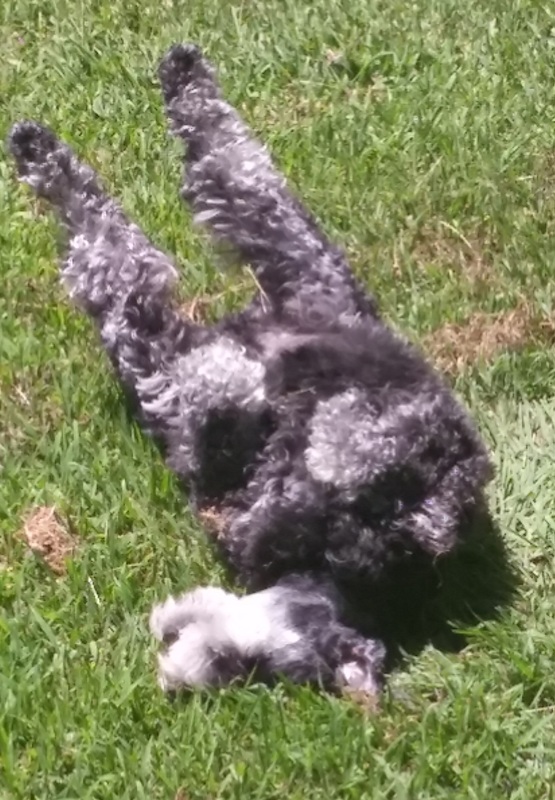 Now, I think I will go out in the heat to take a quick roll in the grass. It feels so good! Last week, Kismet pushed me to think of more reasons that I should be elected Supreme Leader Mayor of Blogville. Chemo has made my brain a bit foggy at times, so I had to call on some of my peers to help me out. Hooch and Rin were the only ones available on short notice, so we planned late into the night. I think their strategy is brilliant: WIN. My food’s gone. Is this meeting over? 10. I am a working dog. The above picture is from one of my previous employments. 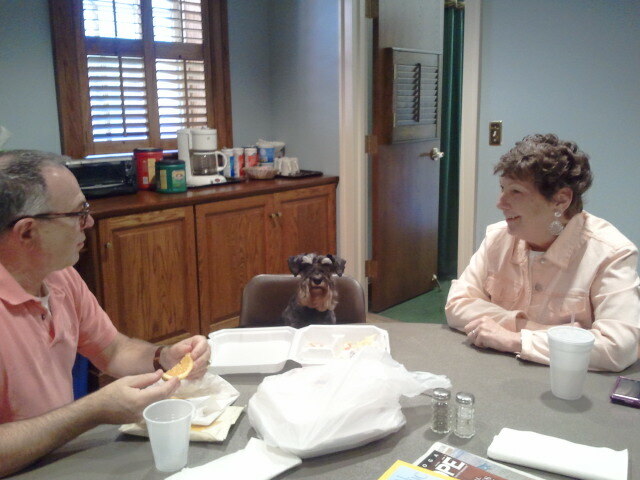 We were wasting no time, having a working lunch. 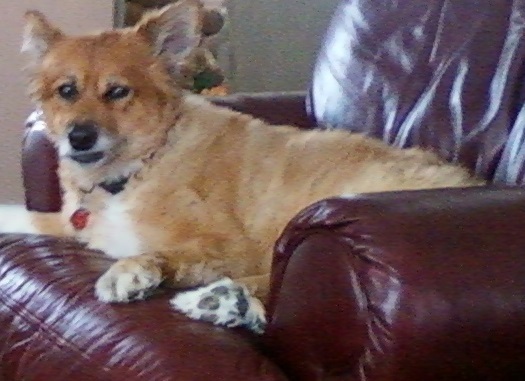 I understand the challenges of all us working class anipals and peeps and can form a labor party (woo hoo!) to help you. I am Lexi, the future Supreme Leader Mayor of Blogville. Pee S: Special thanks to my BFF Sweet William the Scott for working tirelessly to help me track down my famous peers and making sure they felt appreciated with the special pictures he took. Hello friends, Lexi here again. If you missed my past Campaign Propoganda posts informing you why you need to vote for me for the Supreme Leader of Blogville your Mayor, you can check it out at the bottom of this page. Today, we move on to reasons #9 and #10, which are the last two reasons I can think of right now. I might come up with some more later. 9. 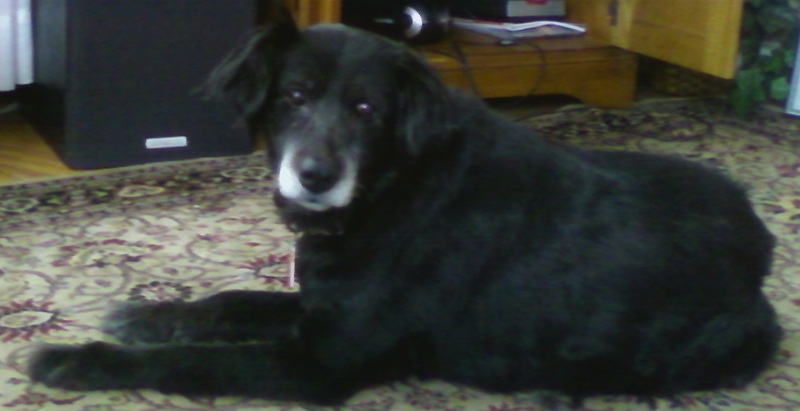 A Dog of Many Sorrows: I Understand Affliction. 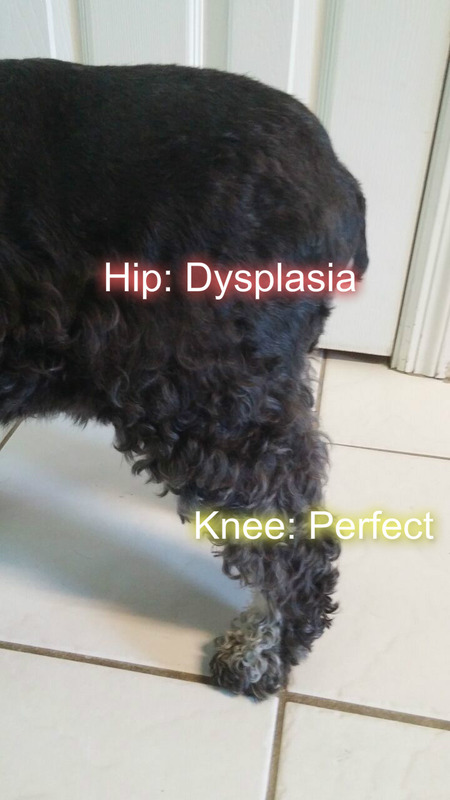 Among other things, I have suffered with and overcome hip dysplasia. 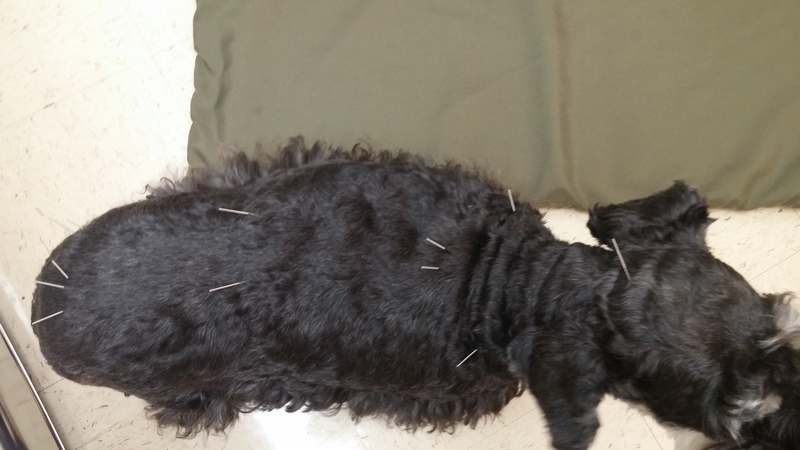 I bravely allowed the new vet to stick lots of needles in me and over time it removed the affects of the dysplasia. I also recently survived a round of chemotherapy, the infusion of poison into my bloodstream. I have also lived through the sorrow of the death of my sisters and housemates, Lily and Ivy. How is this relevant, you may ask? Not only can I empathize with you, but I am able to come up with new and daring solutions to your problems. I am willing to be a role-model of bravery and fortitude and empathize with you during times of sorrow. 10. “What’s in it for me?” I know that to vote for someone, the biggest question is, “What do I get out of this?” Right? 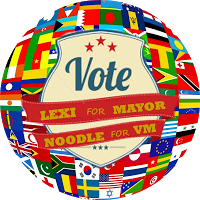 So, if you tell me you voted for me, and send me your e-mail address, I will send you back via e-mail your very own “I Voted for Lexi!” button, similar to the ones you can now feel free to grab and use from my side bar. Second, you will feel good knowing you made the right choice for your Supreme Leader Mayor. And, reasons 1 through 8 answer that question quite well, I believe. In case you missed them or just want a refresher, here they are. 7. Volunteer Service: I give all of myself at the Children’s Hospital once a month. 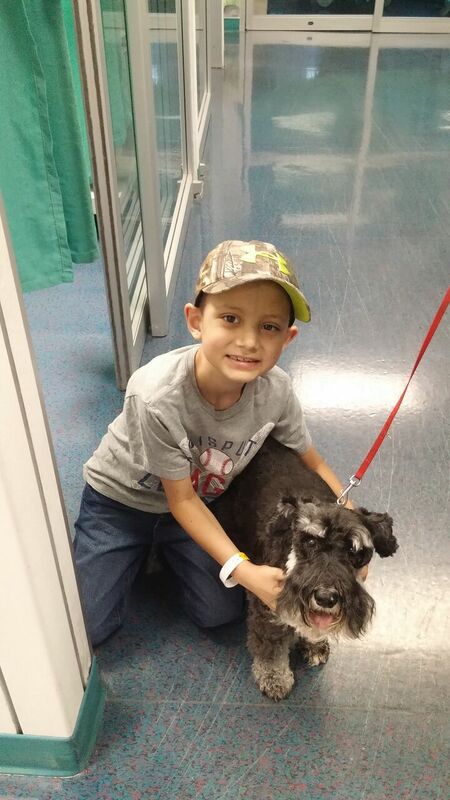 My job is to make sick kids smile, and I am very good at it. 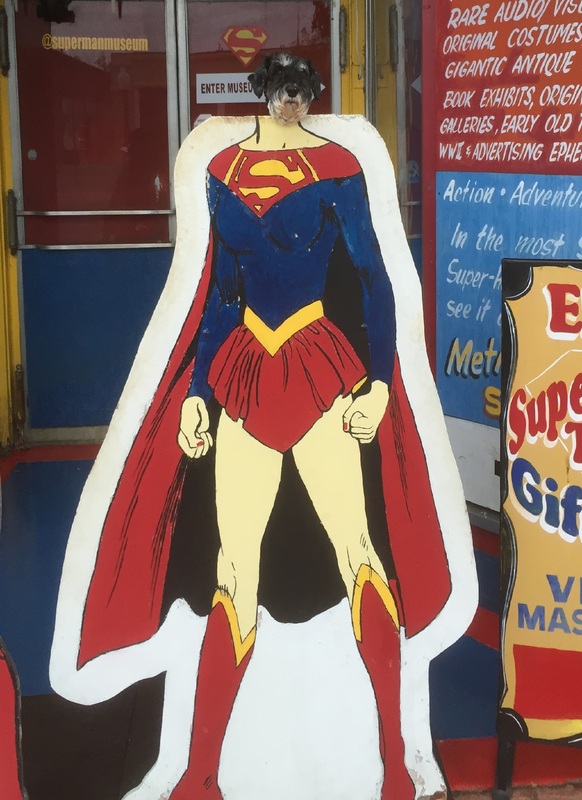 I grin the whole time I am there. It feels good to give back to the community who loves me. How is this relevant, you may ask. 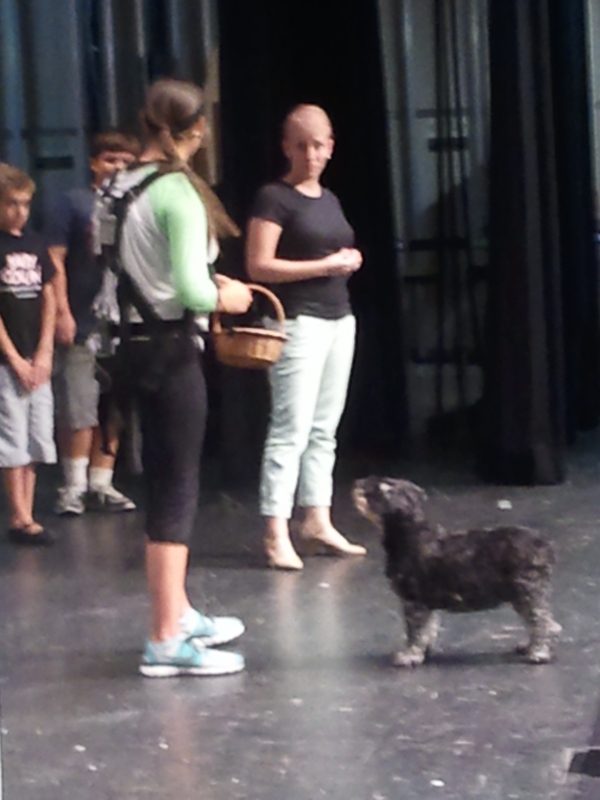 I can give you pointers on how to qualify to be a therapy dog, too. Plus, you can use me as a reference. That should do the trick. 8. Spokesdog for a Major Multi-National Corporation: I will be YOUR spokesdog, too. 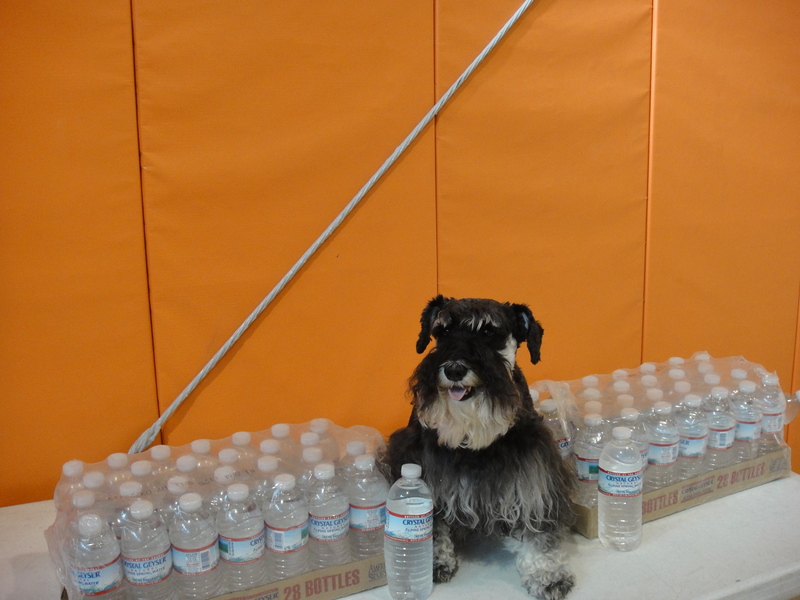 Me as spokesdog for CG Roxanne Water a.k.a. Crystal Geyser. While you are here, feel free to grab one of the campaign buttons from the sidebar and join my other friends who are proudly showing support for their candy date of choice! Ok, so the sign says every Tuesday. It sure does feel like every Tuesday with all the mind-exercise I’ve had from the great questions. Today, however, is the last debate until this fall. Unless we change our minds, of coure. You can find Christmas’ and Arty’s answers on their websites. So here goes. 1-Do you think we can publish some guidelines/rules/mandates on flashy beasts at naptime?? Being realistic, I think we can publish whatever we want, the problem is going to be to get our humans who use those flashy beasts to abide by our rules. Since we are sleeping when they so rudely awaken us with it, there is not much we can do to prevent it other than hide away somewhere they can’t find us during naps. 2-Since you are vertically challenged (like me) we are wondering what your ‘platform’ of choice will be when you are at the podium? I have already published my platform. It is also called a stage. I have called on some of my fellow thespians to appear on my platform. 3-What is your platform for Mayor? I believe that all anipals are created equal, which means that All Anipal Lives Matter (with the exception of certain insects and worms). 4a-What are your opinion on cats? Friends, foes, or supreme masters?? I know that some dogs and cats see each other as enemies. And I realize that some cats feel they are – or at least should be – supreme masters. However, I believe we can all live at peace and be friends. Here are two of my friends from Canada. This beauty on the left is Kali of The Canadian Cats. 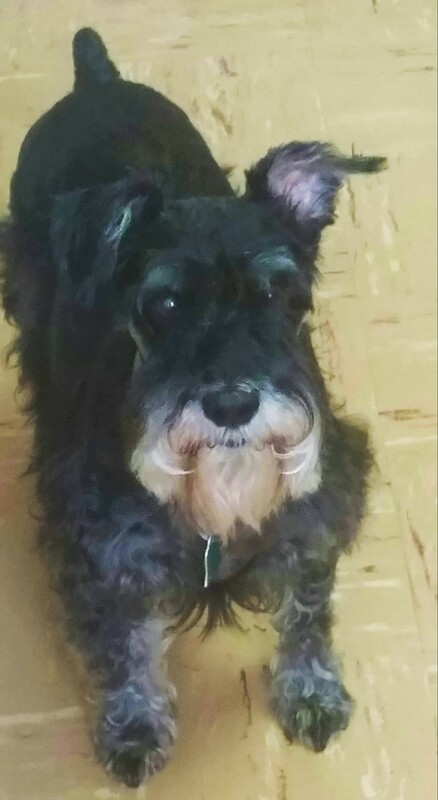 Kali just celebrated her 14th Gotcha Day on May 12. Below is Shoko, another beauty who has a lot to say. 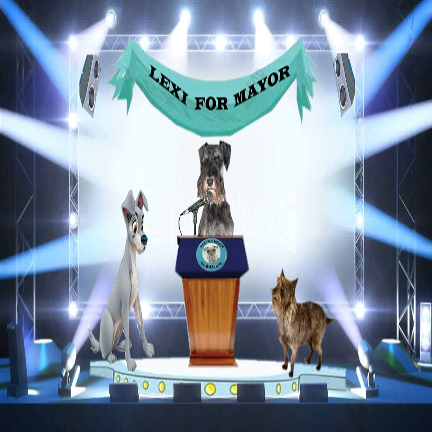 I am proud to introduce her as an official member of Team Lexi in this Race for Mayor of Blogsville. She is an invaluable asset and will be offered an important post in my cabinet after I win the election. 4b-Are you planning anything to get our hoomans to share more of their food? Specifically of da MEATZ variety, but really anything (eggcept for vegetables which I has heard some peeples ackshually eat). I have a trick or two up my sleeve. Suffice it to say I sit at the dinner table every night and get portions of my Mom and Dad’s supper. 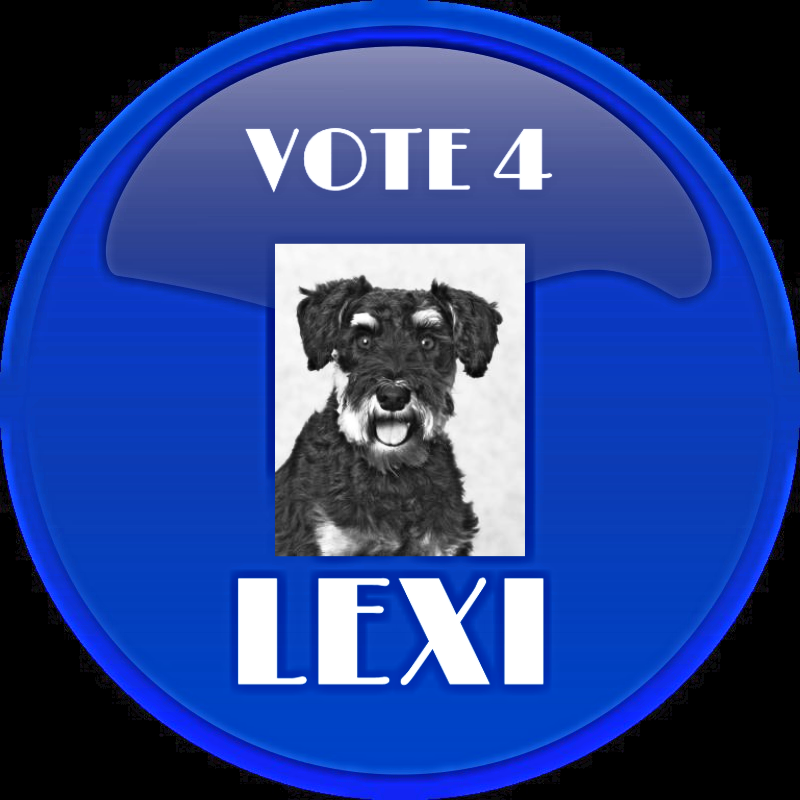 I will share my secrets with you during my Tips from Lexi on Tuesdays when we are not campaigning and after I have recovered from my surgery. Special benefits of sitting at the kitchen table. 5-What will you do to help ensure international residents feel part of the Blogville community? In Blogville, there are no geographical boundaries. My guy Noodle is working on a plan for double dates with anyone who would like to have fun with us. We will even play matchmaker if you want. We want everyone to be as happy as us. Check out our latest date. 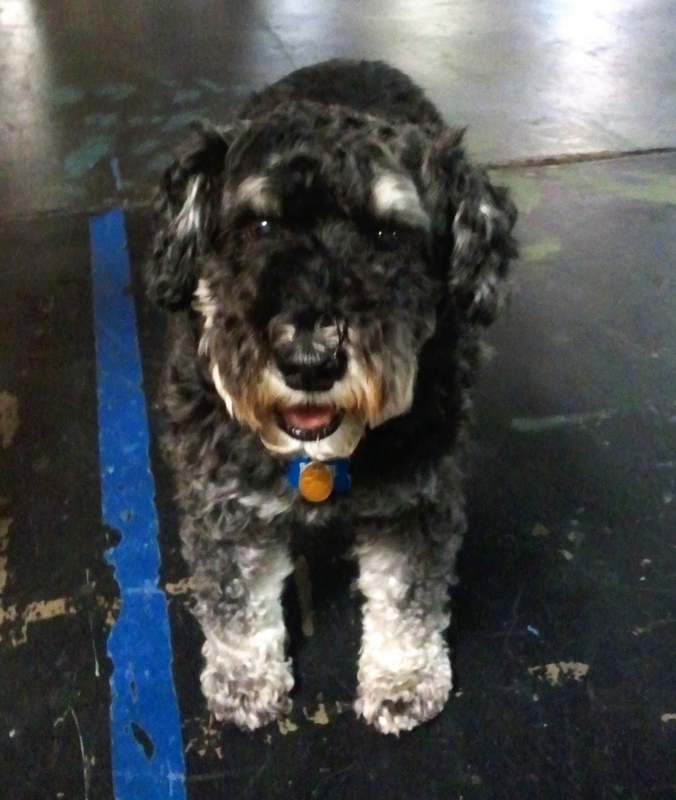 Isn’t he just dreamy?Noodle is also a member of Team Lexi. He will have a prestigious appointment in my cabinet after I am elected mayor. So many of my old and new friends have already expressed their desire for me to be their next Blogsville Mayor that I wanted to make it easy for you to show your support. Below are my official campaign buttons. Or, if you prefer, you can think of them as my friendship buttons. Please feel free to copy the one (or more) that you would like to use to encourage your friends and acquaintances to vote for me and proudly display prominently on your blog. You can see how they look on my sidebar. I thank you, and Blogsville thanks you. I have rethought my original plan to inundate everyone with all my wonderful accomplishments and all the reasons to make me the next Mayor of Blogsville. You see, I did not know at the time I began my campaign that our election was going to coincide with the National Presidential Election in the USA. So we have time. We have lots of time. 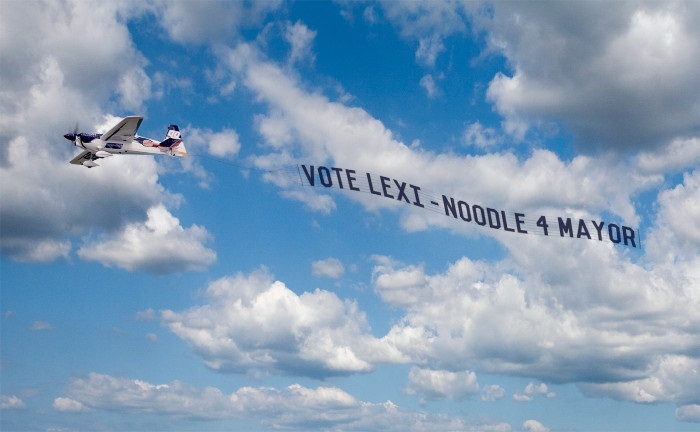 Instead of a new Vote for Lexi! post every day, I will put one out each week on Tuesdays. When we have a debate, that will take the place of my Campaign Blog. Please don’t feel too disappointed. This picture is totally unrelated to anything in this post; however, it seemed apropos for heading into nicer weather in Tennessee, USA. Besides, I think I it is pretty. 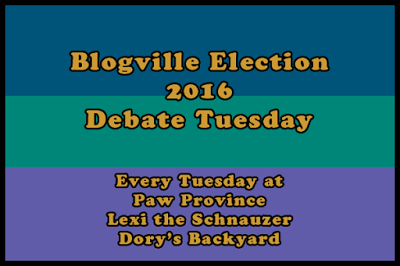 Debate Tuesday: Vote for Lexi! Introducing, Debate Tuesday!! That’s right, every Tuesday we, the Candy Dates, will answer five questions concerning our platforms and information about Us!! For the first three Tuesdays we, the Candy Dates, will be asking the questions of each other. After that, we will be answering YOUR questions!! So make sure to ask us questions in the comments, and, no worries, we should be able to all of them in the course of the campaign!! Make sure to visit all the Candy Dates! Now, On to this Tuesday’s questions, submitted by Christmas!! 1.What is your campaign slogan and why is that your slogan? If you don’t have one, what would your slogan be if you made one? Christmas: My campaign slogan is “death for Vacula” because obviously, Vaculas are the worst thing ever. Lexi: I haven’t decided yet. Slogans are so limiting. I want options, don’t you? But if I had to chose one right now perhaps Peace Be with You would be fitting. 2. If you become mayor, how will you announce it on your blog? Christmas: I will do a long post about how grateful I am to Blogville for their support and I will give my mommy a big slobbery kiss on the face for being my awesome assistant and always supporting me. Arty: After I thank all of Blogville for their support, I hope to host an Inaugural Ball. In fact, no matter who wins, I will most likely have a big pawty of the winners choice!! 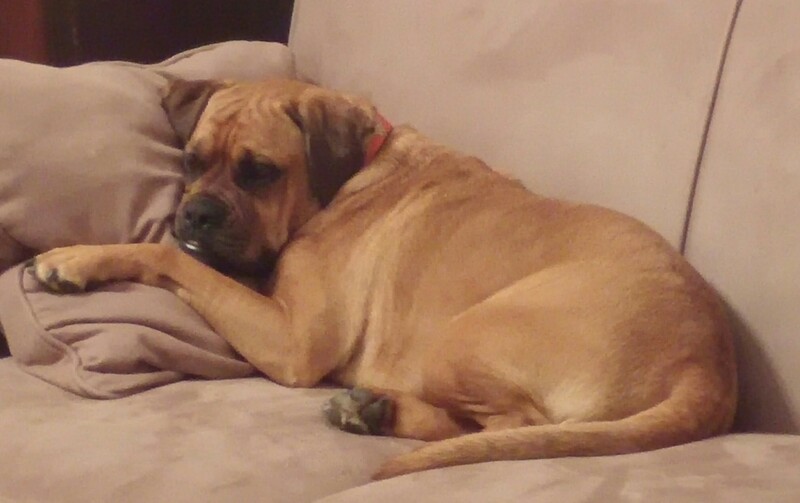 Lexi: Fireworks. Definitely, fireworks. The fireworks may even have my face in them. I’ll have to work on that – or work on Dad to work on that. 3. How will you advertise your run for mayor and will you do it alone or recruit others? Christmas: Around my blog, I like to post fun campaign posters. The ladies love my handsome hound dog face! Oh, and I’ve actually recruited my pal Oreo as my campaign manager. 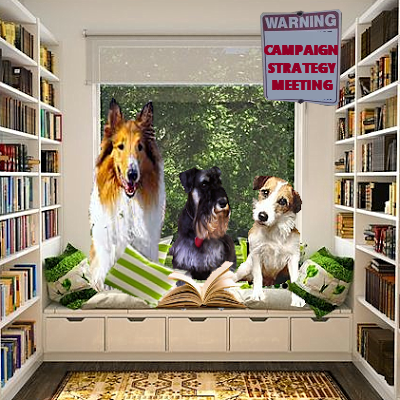 Arty: I have a great team I am working with, Mabel (from Idaho Pugs) is my Campaign Manager and my brother Jakey is my Press Secredude! I hope to be on at least one talk show (I hope my running mates will join me, but more info on that later!). Dory has promised me at least 2 days a week of Blog-Air time so anything is possible! Lexi: I have posted my platform and have started posting some of the very best reasons to Vote for Lexi! on my own blog. I wanted Mom to hang posters around our neighborhood but she said that wouldn’t help. It is early in the race, and I am still weighing my options for my team. There are so many good bloggers/friends out there, I must choose wisely. 4. What will you do about the tree rats and Vaculas that are ruining our country? Christmas: I will send out a notice to all tree rats that they must stay in their trees so we won’t have to chase them back up the trees 87 times a day! Oh, and about the Vaculas? I think if our police squad here in Blogville is strong enough, they can help destroy all Vaculas. Arty: If I become Mayor, one of the first groups I will form will be a Tree Rat S.W.A.T. Team. We have a definite Squirrel Cartel problem that needs to be addressed! I agree with Christmas and, as a Junior Police Officer, I can assure Blogville we will keep the Vacula problems to a minimum! Lexi: Tree rats? I don’t think we have any of those around here, unless you are referring to those cute, cuddly squirrels that populate my backwoods area. I will listen to my future constituents about what they want done, if anything. Vaculas? If you are referring to vacuums, just stay out of their way, like on the bed, and they will not harm you. I support vacuums’ rights to come out of the closet. Can’t we all live in harmony? 5. How will you get Blogville members involved? What events/activities would you plan in Blogville? Christmas: Every three months, I think I would do a seasonal post where every Blogville member that wanted to participate could send in a photo of them enjoying that season and we would share it in one big post. 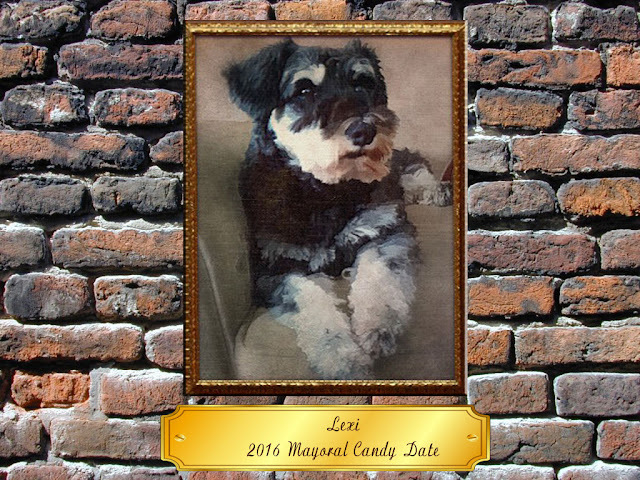 Arty: I am very lucky that my Mama can do the Photoshops really good, and my brother Jakey is teaching me lots about Pizap and PicMonkey. I hope to have a few campaign events. Right now, Dory and I are helping Mama organize the B.A.R.. We hope to have a BBQ this summer, and of course, the Summer Olympics are coming up!! Lexi: I think we could all go on trips together. We have already tried digging tunnels, and that didn’t work really well; instead, we could use big boats to visit across the oceans and do fun cruise things on the way. 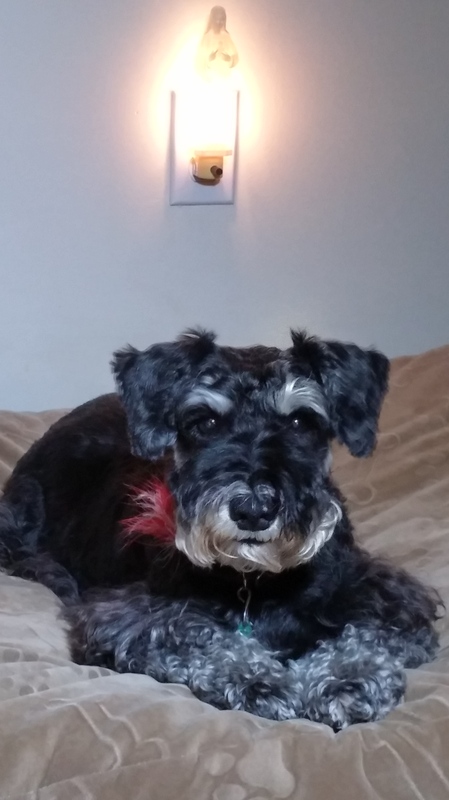 Hello friends, Lexi here again. If you missed my Campaign Propoganda previous posts informing you why you need to vote for me for the Supreme Leader of Blogville your Mayor, you can check them out: Day 1 and Day 2. Today, we move on to reasons #4 and #5. 4. Church Dog: This is my official title at both an Episcopal and Methodist Church. 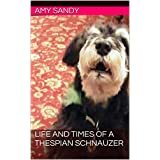 I was also the Parish Dog for 7 years at St. Paul’s Episcopal Church. I also have a Mother Mary night light above my bed. This should get me the religious vote. 5. Build Relationships, Not Walls: There is enough for all of us. I have seen inside the pantry, and it is good. Hello friends, Lexi here again. If you missed my Campaign Propoganda post yesterday informing you why you need to vote for me for the Supreme Leader of Blogville your Mayor, you can check it out here. Today, we move on to reasons #2 and #3. 2. 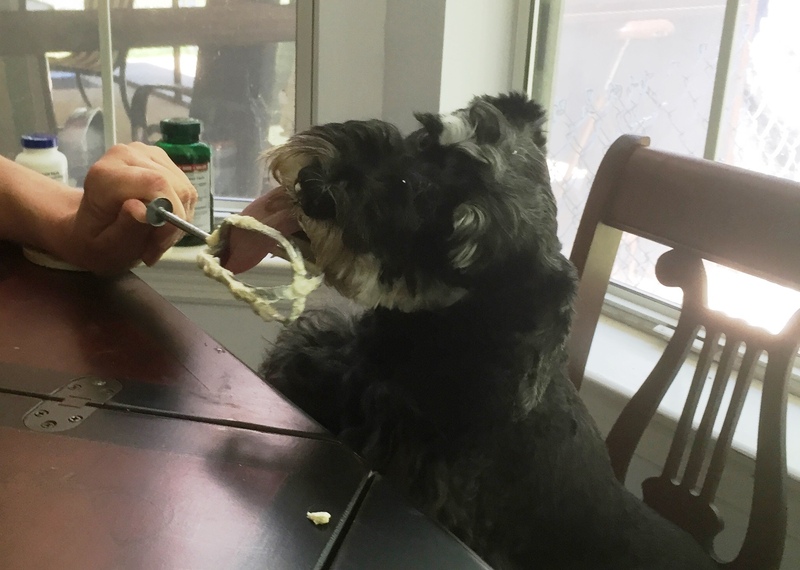 Let Them Eat Cake: I eat at the table with my people. I get McDonald’s food and real cake for my birthday. How is this relevant, you may ask. I know how to manipulate the people and I will both share my knowledge with you and fight for your rights. Like your right to eat cake. This picture is from my 10-year-old birthday party. 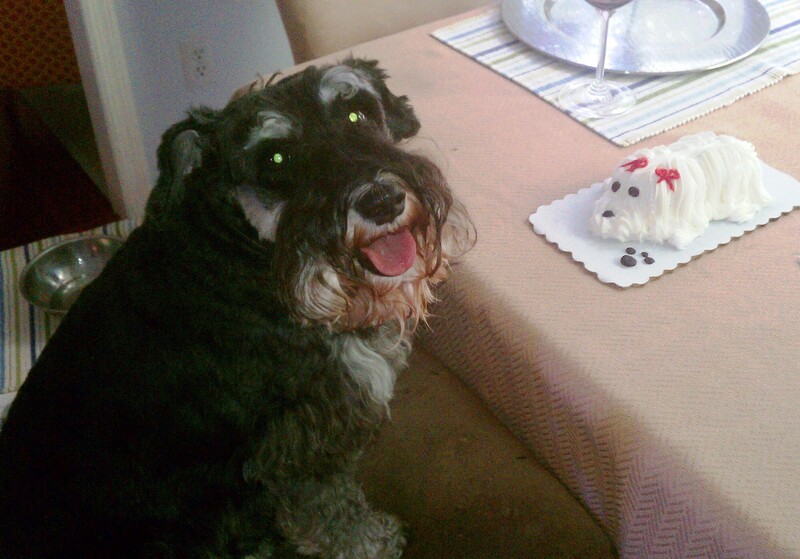 I had a Healthy Choice meal with my Mom and Dad and then my very own cake shaped like a dog. 3. All Lives Matter: All dog lives matter. All cat lives matter. All pig lives matter. All bird lives matter. All rabbit lives matter. In short, All Lives Matter. 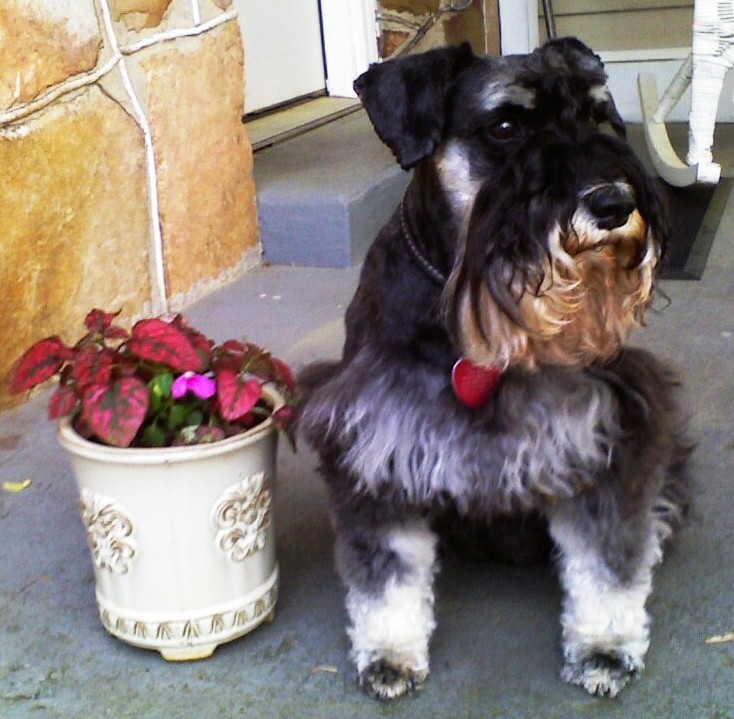 I will not discriminate because of species, breed, age, economic status, color, or gender. Not so sure about snakes and spiders, but I am open to discussion on this. There is plenty of room on my platform for everyone. This is my platform. It is also commonly called a stage. Proclaimed Actor: You may have noticed that my election picture shows me next to my Publicity Photo and Annie Award. 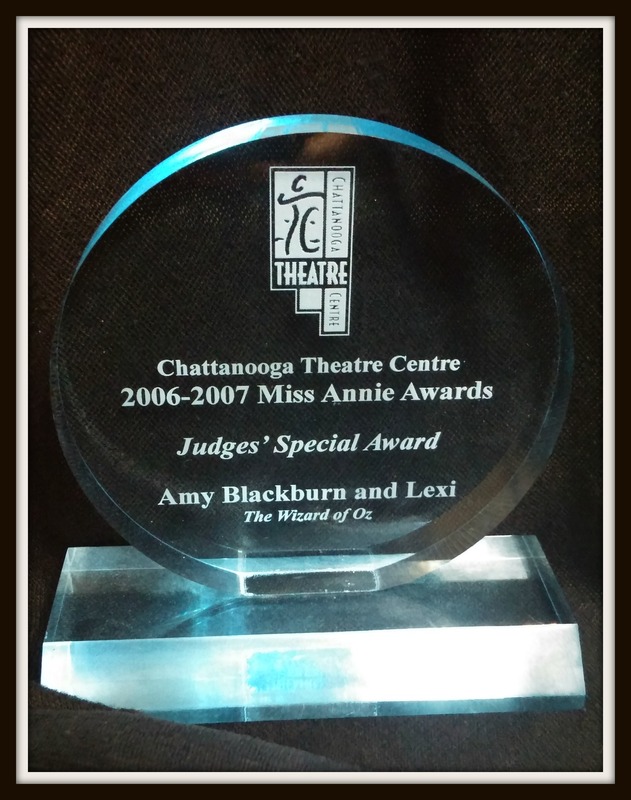 My Annie is like an Oscar for people and I was the first-ever animal to receive one at the Chattanooga Theatre Centre. I received my Annie for the “Director’s Choice Award.” Quite prestigious. 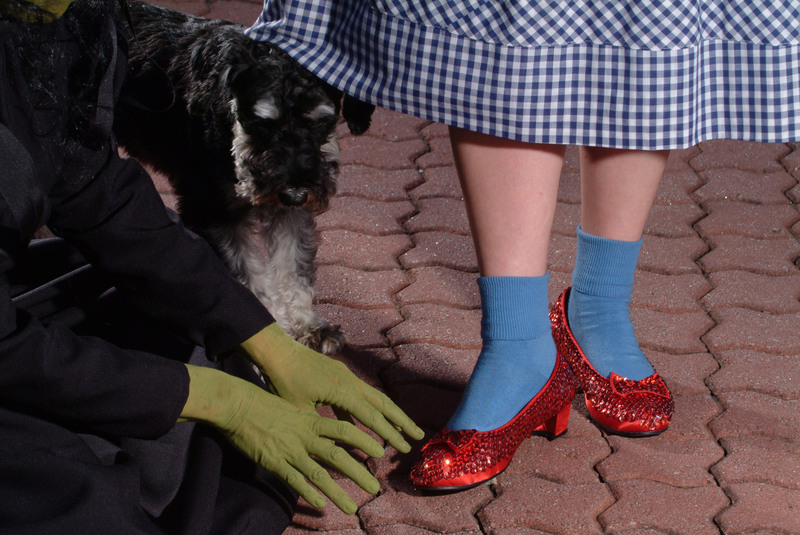 I went on to star two more times in other productions of the Wizard of Oz. Why is this important, you may ask. Some of our greatest politicians have been acclaimed performers. 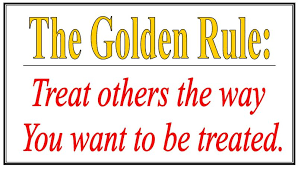 Ronald Reagan, Arnold Schwarzenegger, Sonny Bono, and Jessie Ventura, to name a few. Please be sure to check back tomorrow for reasons #2 and #3.